Here are some great places to have a picnic. Some of them are good places to have picnics even when the weather is not so nice. 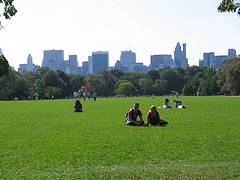 1) The Park - It is nice to have a picnic in the park on a nice sunny day. 3) In your house - When the weather is not so nice, you can spread out a blanket on your floor and picnic inside. 4) In your car - if your going somewhere and you don't have a place to eat or you don't want to spend money to eat out and/or the weather is not nice enough to eat outside, you can always have a picnic in your car. 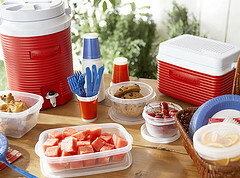 5) Amusement Parks and other places - Some amusement parks and other facilities have picnic areas that you can use. However, you cannot usually just go there to picnic if you are not visiting the amusement park or other facility. 6) In bed - you can even have a picnic in your own bed, just spread an extra blanket or sheet over the top and remove it carefully when you finish if you don't want to get crumbs in your bed. We were given ticket to a performance of Princess Phooey for review purposes. Any and all opinions expresssed here are our own. The above is a guest post by little sister, Aurella. 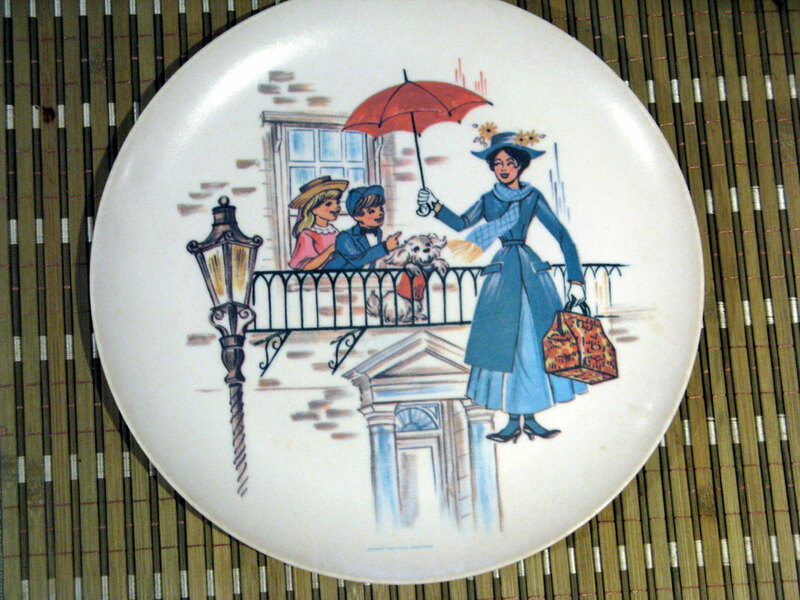 Mom-Princess Phooey contains elements of several other princess stories. There is a princess locked in a tower like in Rapunzel. There is a princess who is forced to work like a maid and clean like in Cinderella. There is a princess hiding out in a forest and seven men who find her like in Snow White. In this story all of these things happen to one princess - Princess Ermengarde. However, these elements are where the similarities end. Princess Ermengarde is not a princess wasting away in a tower waiting for her prince. She is not forced to work cleaning the castle. She enjoys working alongside the maids. She is not waiting in the forest for a prince to rescure her. She would rather fight with the boys. This a princess who does not wait for things to happen to her. She makes things happen. She does not just go along with what is expected of her. She stands up for herself and for what she believes and she takes control of her own life. Every little girl should get to know this princess. She is a good role model. And that's our view. What do think of a princess like Ermengarde? We were given free tickets to a performance of Princess Phooey for review purposes. Any and all opinions expressed here are our own based on our experience. Our view: If your children are obsessed with princesses and you are sick of the usual princess stories, go and see Princess Phooey. If you just want to see a group of talented kids performing on stage go, and see Princess Phooey. Princess Phooey isn't your typical princess. She doesn't care about crowns, and pretty dresses or finding her prince or anything the usual princesses care about. She is more of a tomboy, and the kind of princess even boys or kids who aren't especially into princesses would probably like. The story does include elements of familiar princess stories, however, it presents them in new and unique ways. This is a princess story that anyone can love. It will only be running through the first of August 1 so if you are interested in seeing it, go soon. For more information or to order tickets go to http://www.tadatheater.com/currentseason.asp. And that's our view. Tune in to tomorrow's Talking Topic post where we will be talking more about Princess Phooey. Me- Today I am recommending All I Need by Susane Colasanti. It is the story of a Seth and Skye. They meet one summer and instantly fall in love. The story told from alternating points of view is about a long distance relationship and whether an instant love can blossom into a relationship that can last between two people from very different backgrounds. One nice thing about this book is both main characters are very likeble people, and you can see things from both sides. There is not one good guy and one bad guy, you feel for them both and root for them both. It makes you just want to keep reading to see what will happen. It is a very good romantic book. Mom - Today I am recommending Always Something There to Remind Me by Beth Harbison. This is the story of Erin Edwards. She has a good job, a happy well adjusted teenage daughter who she has raised herself, and a great boyfriend who wants to marry her. So why can't she stop thinking about the high school boyfriend who got away? She and Nate broke up years ago, but as soon as her current boyfriend, Rick proposes to her, Nate is all she can think about. Is it just because of the abrupt way things ended between them and the regret she's carried for all these years for her part in it or is there more to it than that? This is sweet romance that asks the question: Can the first one ever actually be the one? Me - My topic for this month is Saved by the Bell. A few months ago I started watching Saved by the Bell on Netflix. Now, I am hooked on it. I love it. Sometimes, it is a little bit childish and immature, but overall, I love it. It is funny. I love the characters of Jessie and Slater. They are so cute together. He calls her Mama, and I just think that is so adorable. Every time. he calls her that my heart just melts. I am literally obsessed with Jessie and Slater. The problem with Saved By the Bell is that it is not very consistent. Something will happen then in the next episode it will be as if it hadn't happened. Season 1 was a completely different show called "Good Morning Miss Bliss" which may have been on Disney Channel. Season five and six have nothing to do with the rest of the show. Therefore, I would on only recommend seasons 2, 3 and 4. Within those three season, there are some inconsistencies, but overall I think they are definitely worth watching. Mom - My topic for this month is summer camp. When I was little I used to go to summer camp, but I never really liked it. The only camp I went to that I sort of liked was a travel camp where we went to a different place every day. The only problem was that a few days a week we just went to a county park or something like that to swim. That was kind of boring. The other days we usually went to pretty good places like the movies or Great Adventure or something. I also went to sleepover camp one year. I didn't like that too much either. My brother and sister both liked sleepaway camp a lot better than me especially my sister. My brother went for a few years, and my sister went even longer. I wish I would have gone on one of those teen tours where they travel all around the country. I have been to a lot of states, but I think maybe if I went on one of the those teen tours I would have been to a lot more. Melia loved day camp when she was little and they mostly swam and played and did art and stuff. When she got older, and they mostly played a lot of sports, she didn't like it as much. She also went to one year of sleepover camp and didn't like that either. Aurella never went to camp. She never really expressed a desire to. Now, we usually spend our summers doing a lot of fun activities as a family as much as possible. I liked spending my summers like that a lot more than I liked going to camp when I was a kid. We received tickets to the BCCT production of Mary Poppins at the Strand Theater for free for review purposes any and all opinions expressed here are our own. For more information on the Strand Theater or to order tickets for Rock of Ages or any other upcoming events go to http://www.strand.org/. For more information on BCCT go to http://bcct.org/. For more information on Exit 82 Theater go to http://www.exit82theatre.com/. You can also order tickets for Rock of Ages from that link. We will be featuring more about the Strand Theater and events occurring there in future posts. WHAT: The Mets are a proud partner of Hain Celestial, selling products from Terra® Chips, Garden of Eatin’®, Plainville Farms®, and others at Citi Field, and are teaming up again to host their annual Food Drive this year benefitting The River Fund New York on Friday, July 31 and Saturday, August 1 from 5:00 p.m.-7:30 p.m. at Citi Field prior to the games that night vs. the Washington Nationals. 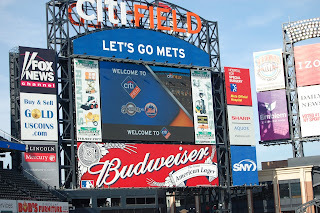 Fans donating 10 items or more of nonperishable nutritious food will receive a voucher for one pair of tickets to a select Mets home game in 2015. Among the items most needed are: canned fruit, vegetables and proteins, plastic jars of peanut butter, packages of hot or cold cereal, and packages of macaroni and cheese. Items that will not be accepted are: unlabeled, expired, or dented cans; any open packaging; products that need to be refrigerated; or homemade products. The River Fund NY is a hunger-relief organization based in Richmond Hill, Queens. 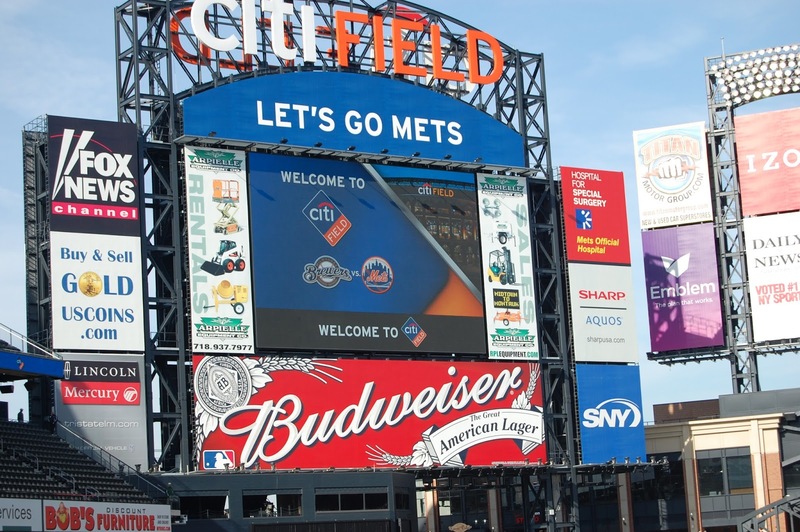 WHERE: Mets personnel and wives of Mets players will be collecting food outside the Jackie Robinson Rotunda, Left Field Gate and Bullpen Plaza. DOCK ROCKS - Party on the Piers, the first annual concert and boat party fundraiser in support of the Museum will be held on Tuesday, August 4, 2015 beginning at 5pm on Piers 15 and 16, South Street Seaport. Tickets are $55 for general admission, with VIP options available, and will be on sale beginning today at www.dockrocks.com and www.dockrocks.eventbrite.com. DOCK ROCKS 2015 will showcase rising stars, superstars and surprise guest performances across five hours of unforgettable Main Stage music, with a headline performance from multi-platinum British recording icons, Duran Duran, and featuring special guest Wyclef Jean. The concert stage is on Pier 16 with nearby Pier 15 as a secondary viewing pier. Doors open at 4:30pm, with opening acts at 5pm, including the "Swatch Presents Emerging Artists" Showcase, from 5-6:30pm, presented by Swatch, Pledge Music & Fieldhouse Music. Vassar & New York Stage and Film, whose 31st Powerhouse Season is underway in Poughkeepsie, are thrilled to announce additional casting for their summer collaboration, running through August 2. Golden Globe and Emmy Award nominated Lee Pace (“Pushing Daises,” The Twilight Saga), Emmy Award-winning Kevin Mambo (“Guiding Light,” Fortress of Solitude), stage and screen stars Ari Graynor (“The Sopranos,” “Fringe”) and Jason Kravits (“The Practice”), Tony® nominee Nancy Opel, plus New York stage stalwarts Theo Stockman, Christy Altomare, Cassie Beck, Lilli Cooper, Sarah Litzsinger, Samantha Ware, along with many more will appear in the remaining lineup of readings, workshops and main stage productions, detailed below. Tickets are on sale at: http://powerhouse.vassar.edu or by calling the box office at 845-437-5599. Tickets to the Powerhouse Reading series are free – reservations are required. Please note: Powerhouse Theater offers priority reservation access to the Readings Series to subscribers, before the general public. Now in its 31st year, Powerhouse Theater is a collaboration between New York Stage and Film and Vassar College dedicated to both emerging and established artists in the development and production of new works for theater and film. The Powerhouse program consists of an eight-week residency on the Vassar campus during which more than 250 professional artists and 50 apprentices in the Powerhouse Training Program live and work together to create new theater works. And that's the scoop. Tune in tomorrow for another Talking Topics post. For even younger kids, you can help them draw and cut out the shapes or even do it for them. 1) Draw shapes of various sizes. See step 1 above. 2) Cut out the shapes. See step 3 above. 3) Arrange the shapes into a picture. See below for an example but you do not have to do the same exact thing. You can make any picture with your shapes that you want. If you would like to specifically do an elephant shape drawing we will provide directions for that in a later post. 3) Color them in. If you want you can leave some blank too. Me - Camden Riversharks, wow! We went to the Camden Riversharks. They are an independent league baseball team. Their stadium is called Campbell's Field. They have statutes of the Campbell kids and a Campbell soup can outside the stadium. Me and my sister took pictures near it. I sat on top of the can in my picture. She stood behind it so it looked like she was coming out of the can. The have a beautiful view of this pretty bridge behind their stadium. It is even prettier at night when the lights are on. The stadium is right next to Adventure Aquarium in Camden. The first time we went to a Riversharks game, we went to the Aquarium the day before. The second time we went there we slept over at the stadium. We have been back a few times since, and we even got to sleep over again. Mom - We have now been to several Camden Rivershark baseball games and enjoyed them all. At first when we went, we had no idea what to expect, but we really had a nice time. 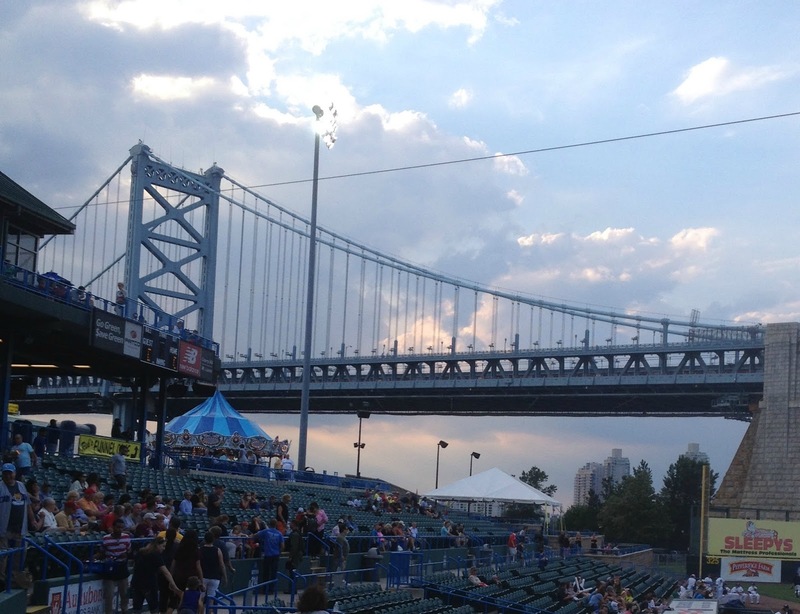 You wouldn't expect such as beautiful stadium in the middle of Camden, New Jersey, but Campbell's field is just that. The view of the stadium from the outside is nice, but the view from inside the stadium is even better. I have been to over twenty baseball stadiums in my life and the view of the Ben Franklin Bridge from Campbell's Field is second only to the view of the Rocky Mountains from Coors Field in Denver. It is especially beautiful at night when the bridge is all lit up. The location of the stadium is really great too as it down by the water literally right next to Adventure Aquarium and not far from the Battleship, New Jersey. As always, my girls love the mascot, who in this case is a shark named Finley. Campell's field is the only place that I have been where hearing the term "Shark Attack" is actually a good thing. And that's our view. What stadium do you think has the best view and why? For more information on the Riversharks in general or to order tickets go to http://riversharks.com/home/. And that's our view. 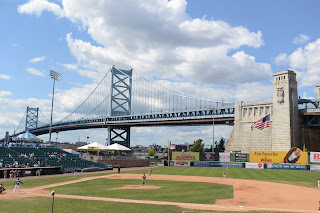 Tune in to tomorrow's Talking Topics post where we will be talking more about the Camden Riversharks. The below post may contain affiliate links . If you click on a link and make a purchase, we may be compensated. Also, we may have been provided with some of the below products for free for review purposes. Any and all opinions expressed are our own. Me - Today I am recommending the soundtrack to Pitch Perfect. Pitch Perfect is a great movie, and the music is amazing. The singers are incredibly talented especially considering it is all Acapella. There is not one bad song on the whole album. I would not, however recommend the Pitch Perfect 2 soundtrack. While the singing was mostly still really great, the song choices were not as good, and I am not a fan of Hailee Steinfeld. Recess Monkey Photo courtesy of Recess Monkey. Me - New York City, wow! I like seeing Broadway shows. I have seen 15 of them. My favorite was Wicked although I liked them all. I like off Broadway shows too. I have only seen a few of those. My favorite was The Chocolate Show, but I liked them all. I consider all shows in New York City Broadway. I like street fairs. Once my aunt bought me a scarf at a street fair. I like the Mets and the Yankees. I like that there are a lot of museums in New York. I have been to a bunch of them. I would like to go to some more of them especially the Museum of Natural History. I like Central Park. I go there with my cousins. I went more when I was younger though. I like to ride in taxis and on the subway. I like that you can order or go out for any kind of food you want. I love visiting my cousins who live in New York City. New York City is fun. Mom - I love New York City. It is a great place to visit. There is Broadway and off Broadway. There are tons of museums and restaurants. There are at least two teams for every major sport. I only like the baseball teams though because we have our own hockey team and I don't really care about football or basketball. No matter what time of the day or night it is, you can always find something going on somewhere. You can order anything you want and have it delivered right to your home at just about any time of night or day. In the suburbs, of course, we can order things on-line but as far as food and stuff not every place delivers. There are always street fairs, festivals and parades happening somewhere in New York City. Even though it is the city, there are still zoos and parks.You don't have to have a car because there are many types of public transportation available. There are so many things that are great about New York City. I just wouldn't want to live there because I like to be able to get away from all the noise and hustle and bustle and everything. I wish I could afford an apartment there just for weekends though, but unfortunately I can't. And that's our view. What is your favorite city and why? 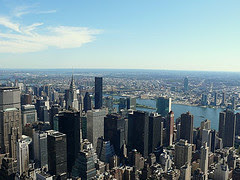 For more fun things to do and fun places to go in New York City read our weekly Where-To-Go Wednesdays. Tune in tomorrow for Tips for Tuesday. Don't miss this production of the beloved Disney Musical at the historic Strand Theater happening next weekend Friday through Sunday! Monday, July 20th at 7:05pm--Bring your dog to the ballpark for Pet Rescue, Adoption, and Animal Care Night. Local pet organizations will be in attendance with adoptable dogs and other dog-related activities. Also, there will be doggie hydration and relief stations set up along the concourse to keep your dogs comfortable. CLICK HERE for more information and to order your tickets! Tuesday, July 21st at 7:05pm--Celebrate Local Heroes Night and recognize all of emergency first responders. 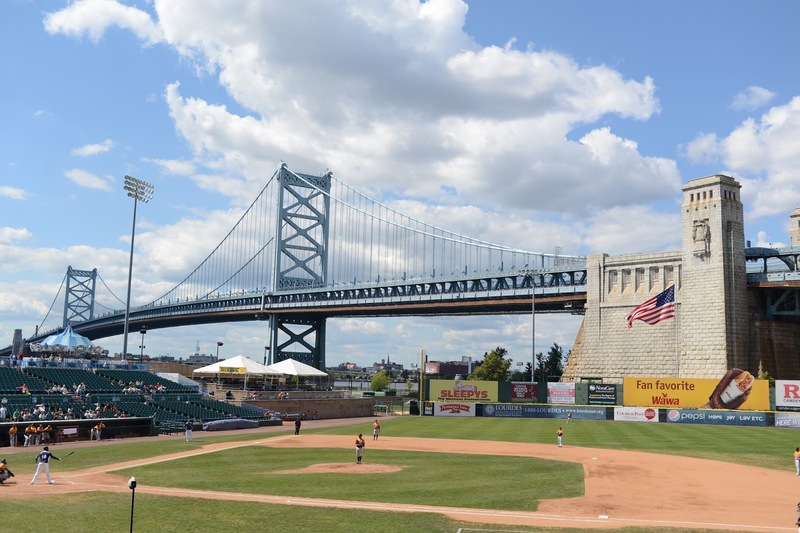 All active emergency service personnel, including police, fire, and EMT, can receive a FREE ticket to the game by presenting their badge at the Riversharks box office on the day of the game. Friends and family can purchase $7 ticketson-line using the promotion code “heroes” . Prior to the game, all emergency service personnel will be honored, and the Riversharks, with the help of local emergency responders, will present the colors with a flag that stretches the field. Included in the evening, the Riversharks are inviting local organizations to proudly display their emergency vehicles on the plaza, as well as participate in the unveiling of the flag. To find out more information on Local Heroes Night and how your organization can get involved, contact Terry at tbradford@riversharks.com or 856.583.0042. It is also Dollar Tuesday! Enjoy Dietz & Watson hot dogs, domestic drafts from 6:30-8:30, popcorn, and more, all for just $1! Wednesday, July 22nd, is Winning Wednesday, starting at 7:05pm! If the Riversharks win, you will receive a free ticket to any remaining Sunday through Thursday game this season. Participate in baseball bingo throughout the game for your chance to win great Riversharks prizes! Thursday, July 23rd at 11:05am - Camp Day presented by McGough Bus Company. To enroll your camp or daycare, contact Jason Tremblay at jtremblay@riversharks.com or 856.831.0431. Individuals can purchase tickets by clicking HERE. T O L O V E A N D M U R D E R "
A limited quantity of lottery tickets to each performance will be available beginning on Tuesday, July 21, 2015 through lottery.agentlemansguidebroadway.com. One entry per person (no age restrictions), with two tickets per winner. The entry period for a given performance will be from the curtain time of the previous performance until 3.5 hours prior to the curtain of the desired performance date. Tickets are subject to availability and may be partial view. Entrants will be notified 3 hours prior to the performance that they have won, and must pick up and pay for their tickets no later than 30 minutes prior to the performance at the Walter Kerr Theatre box office (219 West 48th Street). The existing rush ticket policy for Gentleman’s Guide will also remain in place, offering $42 tickets on the day of each performance for patrons aged 35 and under, available in-person at the box office only. The announcement of the digital lottery coincides with the recent announcement that original Gentleman’s Guide cast member Bryce Pinkham will return to his Tony®-nominated performance as scheming heir Monty Navarro beginning Tuesday, July 28, 2015, reuniting with Tony® Award winner Jefferson Mays. The two-time Tony Award® winning hilarious hit comedy 39 Steps has released a new block of tickets for October and November 2015. In addition, all seats to Wednesday matinees this summer will be available for $39. 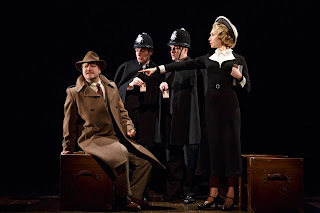 The production began performances on April 1, 2015 at the Union Square Theatre (100 East 17th Street). For more information, visit www.39StepsNY.com. Artistic Director Alex Kilgore announced today that a launch party and first annual silent auction to benefit Accabonac House will be held Tuesday, July 21, 2015 at Ashawagh Hall (780 Springs Fireplace Road, East Hampton, NY). The silent auction will feature art by Gibby Haynes, Jim Tozzi, and Dan Witz, with music by Invisible Familiars, and a special performance of Happy Hour by Monica Bill Barnes Company. In keeping with Accabonac House’s mission to bring great work to Springs, the evening is free and open to the public. Proceeds from the Silent Auction will support Accabonac House’s mission to nurture the creative process by providing an opportunity for artists to work alone or collaboratively without interruption in a supportive environment. Accabonac House is particularly interested in the narrative voice and how different disciplines deal with storytelling. Accabonac House offers residencies to playwrights, actors, directors, musicians, dancers, filmmakers and artists to foster mutual inspiration across different disciplines and generate new work for stage and screen. Accabonac House is a year-round interdisciplinary artists retreat dedicated to the memory of Lisa de Kooning, who spent part of her childhood in the house, located in the heart of Historic Spring/East Hampton. Her father, the Abstract Expressionist Willem de Kooning, traded a painting for the house in 1961, which served as his first studio in Springs as well as a home for his only child, Lisa and her mother the illustrator, Joan Ward. Writers, actors, directors, musicians, dancers, artists, and filmmakers will meet at the house for the retreat to create and collaborate on new works for the stage and screen. Board members include Rachael Horovitz, Marsha Norman, Annie Baker, Adam Rapp, Gina Gionfriddo, Neena Beber, Alex Kilgore Monica Bill Barnes, Laurie Beckelman, Paul Sparks, Annie Parisse, David Wilson Barnes, Gibby Haynes, Jim Tozzi, Isabel de Kooning Villeneuve, Emma de Kooning Villeneuve, and Lucy de Kooning Villeneuve. Giveaway - Win a $50.00 Amazon Gift Card!